Get the drop on falling ammo prices. 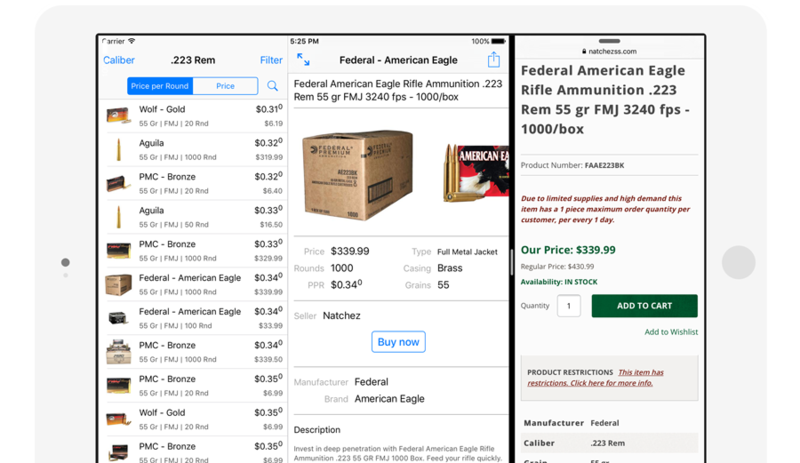 AmmoDrop searches the web for the best deals on ammunition. Quickly search, filter and compare listings to find the best price. Simple to use but packed with features. AmmoDrop covers all of the major handgun, rifle, rimfire and shotgun calibers and is constantly adding new ones. Filter by round count, price per round, grains, steel case, remanufactured, lead-free, +P, seller, country and manufacturer! Rapidly search through the listings with with instant updates as you type. Quickly browse through all of the listings with the swipe of a finger. Found a great deal you want to share with a friend? Easily text, email or post it online. We update our listings daily to ensure they are as accurate as possible. 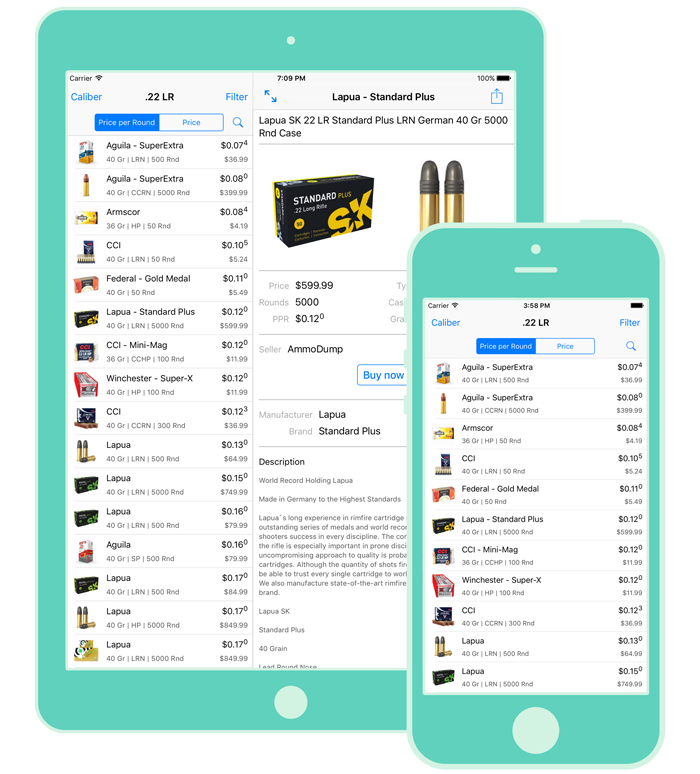 Want to make your AmmoDrop search experience even better? Try it out on your iPad! We even support the new iOS 9 split-view on the iPad Air 2 and iPad Pro. See how easy it is to use AmmoDrop. AmmoDrop is available for Apple iPhone 4s or greater and all iPads. Are you a retailer wishing to be listed on AmmoDrop? Great! If your website has an XML or JSON feed that is updated regularly we can incorporate it. Send us an email about your site and we will be in touch.